[The Fact] It is hosting a birthday event for the group's Big Bang Dae sung in FAN N STAR. 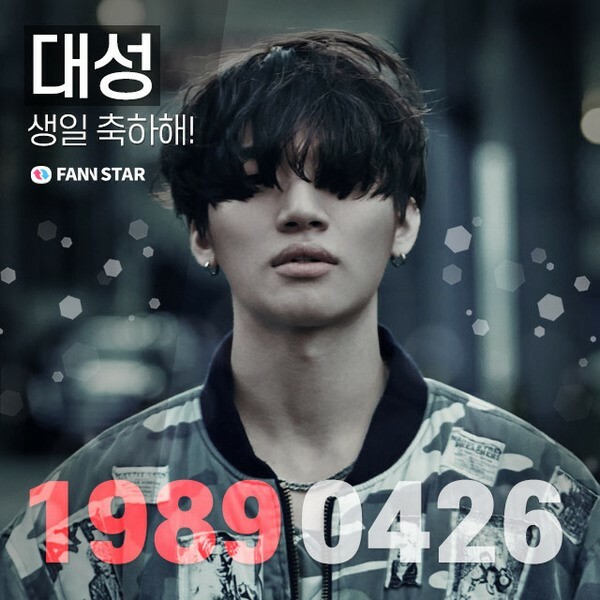 FAN N STAR announced, holding a special event to celebrate Dae sung’s birthday. Dae sung's birthday celebration advertisement is a big celebration advertisement project that is exposed to many places," On March 3. Dae sung's birthday market will be completed with the cooperation of FAN N STAR and fans. Depending on the number of stars fans donate to the project (the points that can be collected on the site), various places will receive congratulatory advertisements. If 100 percent of the stars are reached, a video will be shown on the electronic display board of the waiting rooms at 43 stations on subway line No. 2 in Seoul to celebrate Dae sung's birthday. If the star reaches 400 percent, video screening on Seoul's Subway Line 2 and advertising on the Travel Bus will take place. If a star reaches 600 percent, congratulatory images will also be displayed on the Apgujeong CGV screen, and if it surpasses 900 percent of the star, the location of advertisement exposure will be expanded to Hongdae Station Multivision. Daesung's birthday event runs until July 14, and can take part in the "Star Market" section on the FAN N STAR website.